Universal Pictures and Imagine Entertainment have acquired full rights to Anne Rice's The Vampire Chronicles book series, which includes the entire library. 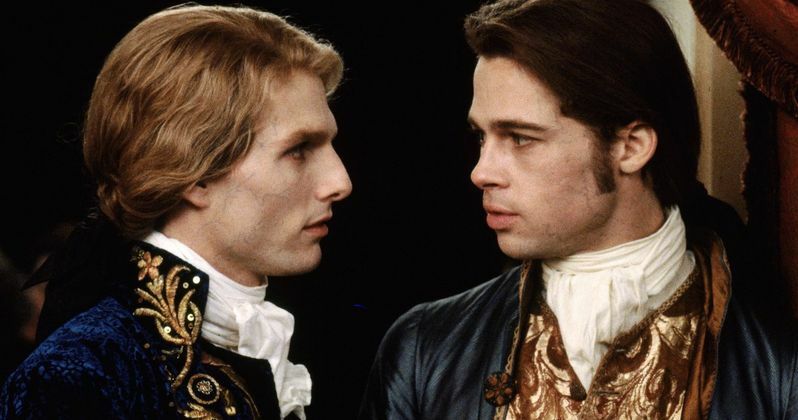 This bloodsucking drama spans the life of 18th Century nobleman turned vampire Lestat de Lioncourt. The series was turned into the big screen blockbuster Interview with the Vampire in 1994, with Tom Cruise and Brad Pitt. A less successful follow-up came in 2002 with Queen Of The Damned, which was shuffled off into the home video market. Both of those movies were released by rival studio Warner Bros. The deal also includes an adaption of Tale of the Body Thief by Anne Rice's son Christopher Rice and any future novel the author might write, including the 11th book in the series Prince Lestat. Both Deadline and The Wrap both report that Alex Kurtzman and Roberto Orci are producing, but that may be wrong. The pair split recently (though still collaborating occasionally on the tv side of things), and Deadline claims the pair are both working on Universal's Classic Monster Movie Franchise, which is wrong. Universal will kick off its new Monsters reboot franchise with the Untitled Mummy Reboot, to be directed by Alex Kurtzman. But Chris Morgan is co-producing, not Roberto Orci . What's interesting about this is that it might actually be right, with The Vampire Chronicles being planned as a TV series. That would actually make sense. Alex Kurtzman and Roberto Orci have served as writers and producers on the Transformers, Star Trek and The Amazing Spider-Man franchises before their split.